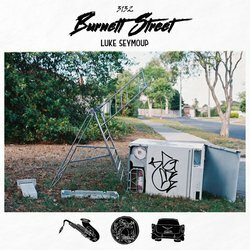 Backed by his 3-piece band featuring Brendan Kelly (Keys), Rhys Cogley (Bass) and Martyn Richmond (Drums), Luke has toured right across Australia and supported acts such as The Hard Aches, Slowly Slowly, One Dollar Short and Allison Weiss (USA). "Burnett Street, Part 1 - First Blood" was written in 2008 after a run-in with some local toughs at Haliday Park in Mitcham. It presents a biased and slightly sensationalised account of the events that took place on that fateful day.